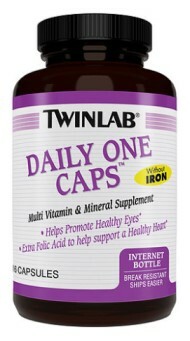 Twinlab® Daily One Caps without Iron provide a multiple vitamin and mineral formula with FloraGLO® lutein, a powerful antioxidant associated with eye health, and extra folic acid to help support a healthy heart. * One cap is all you need to get 100% or more of the daily requirements for 19 important vitamins and minerals. Twinlab® Daily One Caps without Iron also contain free radical scavenging antioxidants that help improve boost cardiovascular, immune and cellular health. The right combination of vitamins and minerals also support physiological functions such as bone health, nutrient and hormone metabolism, and glucose utilization. Twinlab Daily One Caps without Iron have no added flavorings, salt, artificial sweeteners, colorings, preservatives or salicylates. Directions: Take one capsule daily after a meal. Keep tightly closed in a cool, dry place. Ingredients: Vitamin A (as 40% beta carotene and retinyl palmitate) 10,000 IU 200 % DV, Vitamin C (as ascorbic acid) 150 mg 250 % DV, Vitamin D (as cholecalciferol) 400 IU 100 % DV, Vitamin E (as d-alpha tocopherol acid succinate) 100 IU 333 % DV, Thiamin (as thiamine mononitrate) 25 mg 1667 % DV, Riboflavin 25 mg 1471% DV, Niacin (as niacinamide) 100 mg 500 % DV, Vitamin B6 (as pyridoxine hydrochloride) 25 mg 1250 % DV, Folic Acid 800 mcg 200 % DV, Vitamin B12 (as cyanocobalamin) 100 mcg 1667 % DV, Biotin 300 mcg 100 % DV, Pantothenic Acid (as d-calcium pantothenate) 50 mg 500 % DV, Calcium (as calcium carbonate and calcium citrate) 25 mg 3% DV, Iodine (as potassium iodide) 150 mcg 100% DV, Magnesium (as magnesium oxide and magnesium aspartate) 150 mcg 100 % DV, Zinc (as zinc picolinate) 15 mg 100 % DV, Selenium (as sodium selenate) 200 mcg 286 % DV, Copper (as copper gluconate) 2 mg 100 % DV, Manganese (as manganese gluconate) 5 mg 250 % DV, Chromium (as chromium chloride) 200 mcg 167 % DV, Molybdenum (as sodium molybdate) 150 mcg 200 % DV, Choline (as choline bitartrate) 10 mg, Inositol 10 mg, FloraGLO Lutein 500 mcg. Other Ingredients: Gelatin. 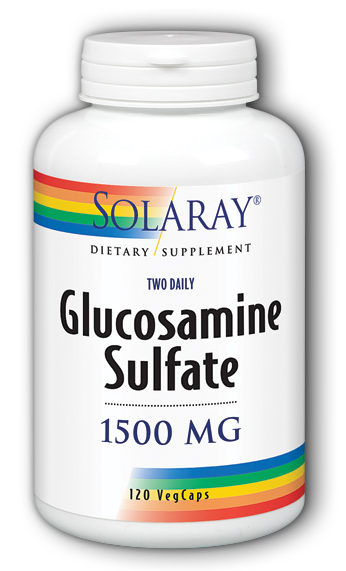 Contains 2% or less of: Alginic Acid, croscarmellose sodium, potassium citrate, soy lecithin, medium chain triglycerides, magnesium silicate, vegetable stearic acid, silica, magnesium stearate, potassium aspartate. 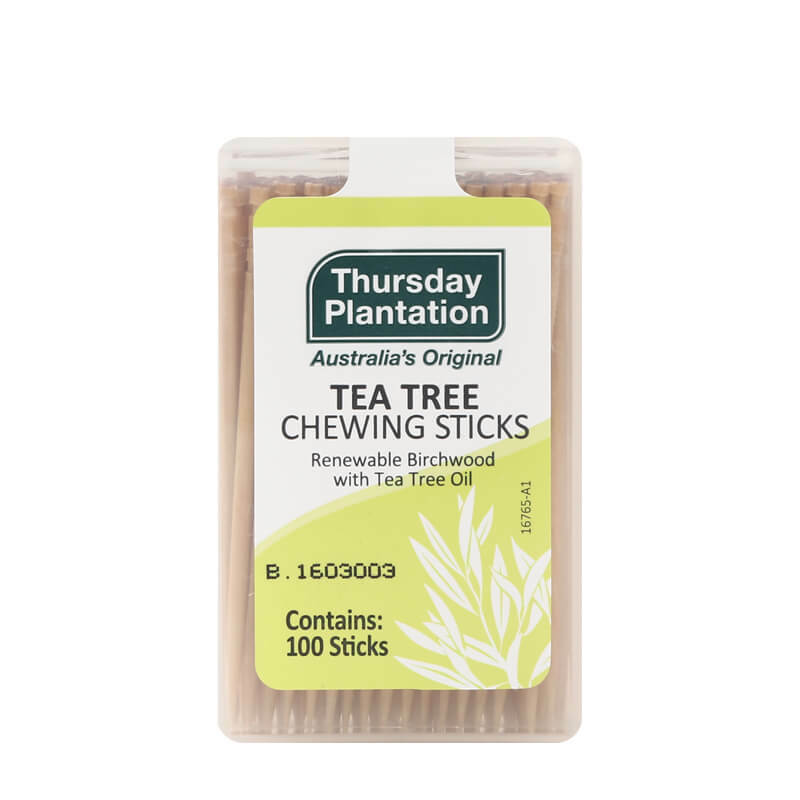 Contains SOY. Warning: If you are pregnant or nursing, taking any medication or have any medical condition, consult a healthcare professional before use. Vitamin E may react with blood thinning medications. Proudly manufactured in a NSF® GMP registered facility.